New openings, new menus, new food and drink products, Auckland is filled with them all—and this week was no exception. From celebrating the arrival of Harry and Meghan, to a new concept store to a new food delivery store, there's plenty happening on the foodie scene in the 09. In case you missed it the Duke and Duchess of Sussex have hit our shores and one of Auckland’s most creative minds has done what he does best—create a new ice cream in celebration. Yes, we’re talking Giapo, who has created a Royal Pavlova. Described as ‘marrying a classic Kiwi dessert, local seasonal fruit and a fitting touch of gold,’ make a beeline for his Gore St store to devour this creation. Transforming their organic and Fairtrade ginger ale, Karma Cola has rebranded their gingerale to a limited edition, Gingerfella. Both the Prince and Karma Cola advocate for change in Africa, which is why the drinks’ company decided to get on board. There are only 100 bottles available, so get hunting. If you’re short on time but still want delicious healthy meals, then check out new food delivery service, FED. It takes away the stress of meal prep and offers a subscription service for two to five nights per week. They’re delivered twice a week and are designed by chef Beckie Pilley. Fun fact: it’s less than two months until Christmas. Perennial favourite Bailey’s have created a decadent gift for that special someone. You’ll be loved forever when the recipient opens the box to discover a bottle of Baileys, Whittaker’s chocolate, body wash, body butter and some Ferrero Rocher to top it off. There are two cheaper options available. You can purchase them here. Kiwi icons Lewis Road have re-mixed their rich cream with original Kahlua and the result is a dream come true. A blend of 100% Arabica coffee with added vanilla and chocolate, pour it over an ice cube for a decadent and indulgent treat. 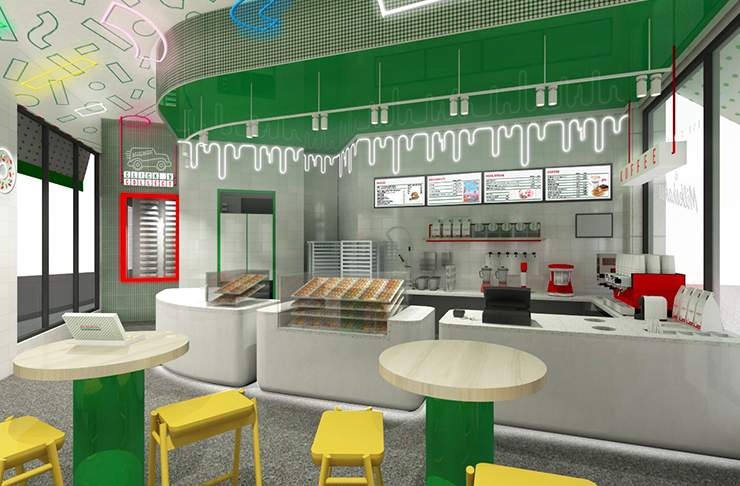 For the third time in less than a month, Krispy Kreme is set to throw open its doors to a new store in Chancery Square. This one is a world first—a concept store that will give a colourful, sensory experience. Think a ceiling of sprinkles, neon lighting and a giant pink doughnut. It opens November 22. With summer around the corner, Kiwi ice cream maker IndulgeNZ has launched a range of luxury ice creams, sorbets and desserts. Made from all-natural ingredients, including organic A2 milk and using traditional artisanal techniques, the result is an unexpected delight. Ice cream flavours include Double Coffee Hit and Salted Caramel Crunch, desserts include Classic Tiramisu and Boysenberry Cheesecake and finally Blackcurrent Sorbet. You’ll find them in leading supermarkets and specialty retailers. The Tim Tam Slam is a childhood ritual that is making a come back. Tim Tam are encouraging people to #sharetheslam. In case you missed it, first you bite both ends off the Tim Tam, then dip it into tea, coffee or hot chocolate like a straw before eating the biscuit whole. Yum. Summer means BBQ season and two Kiwi blokes have launched online store MeatHeads, which provides range of BBQ rubs for chicken, beef and lamb and pork. Handmade with no nasty fillers, preservatives or additives, they’ll take your food next level. Love sugar? Then head to the newly reopened Chelsea Bay Visitors Centre.